KwaZulu-Natal is not only home to the big five (elephant, black and white rhino, lion, buffalo, and leopard) but also to an impressive array of flora and fauna. The diverse and picturesque landscape has attracted a large number of tourists year after year. However, with extensive poaching and loss of habitat, Africa today has several endangered species on the list. 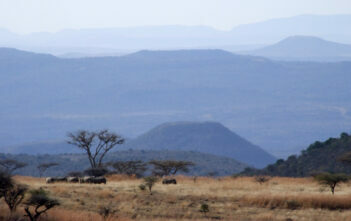 African safaris have attracted people from all over the world for a longtime now. 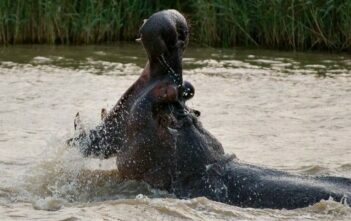 Tourists today are still lucky to see some of the endangered species on their safaris including the big five. There are several private and government projects running in KZN to monitor, protect, and conserve these beautiful animals that are on the endangered list. Ezemvelo KZN Wildlife is a government organization that strives hard to maintain the wildlife conservation areas and biodiversity in KwaZulu-Natal Province, and have received several awards for their management and protection of the natural resources of the province. Nature tourism contributes towards saving wildlife by creating jobs and a steady income to the local people and improving the economy of these provinces through the much needed foreign currency. 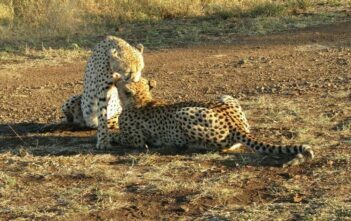 The money from tourism also helps in continuation of wildlife preservation projects by the government. When the economic benefits of nature tourism are realized by the local people, it will motivate them to conserve the wildlife. Please go through our Infographic put together by TuskPhoto to learn about various African animal species that are currently in the extinction zone.